The rush of the fountain at Lincoln Center as you approach. The click-click of the street style photographers. 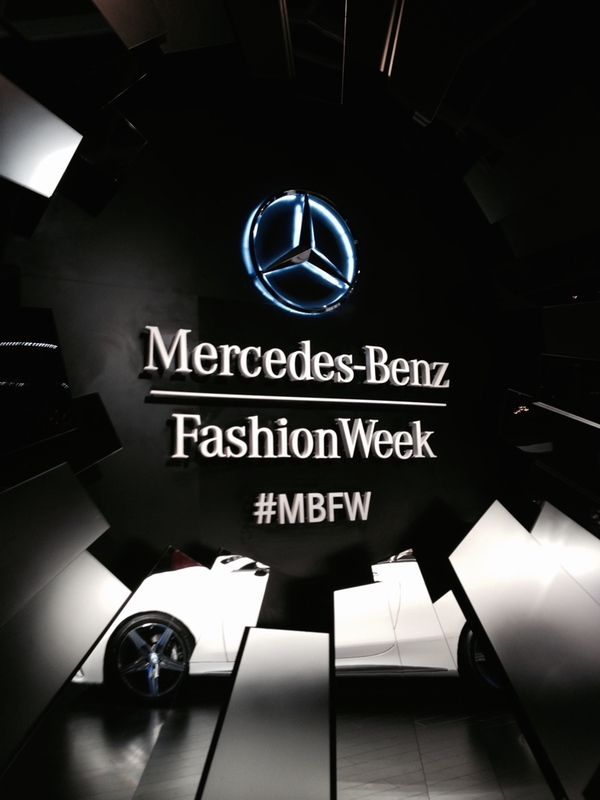 Passing the under the lighted beacon that announces the privilege of entrance – Mercedes Benz Fashion Week. The buzz of the crowd. 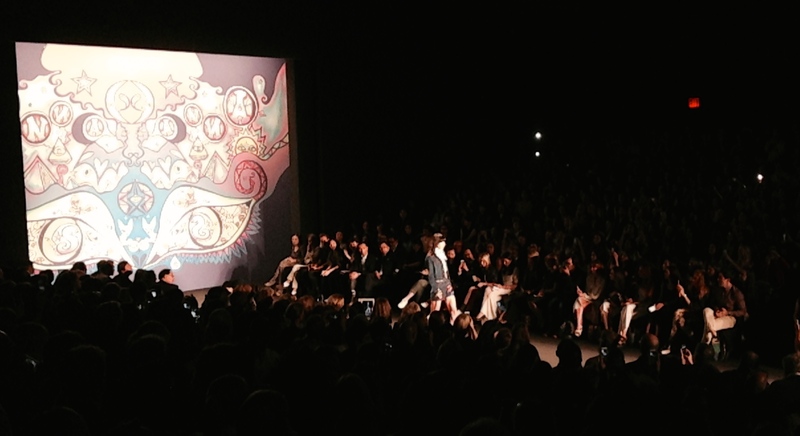 I was thrilled to attend two shows this season – Anna Sui and Erin Featherston. 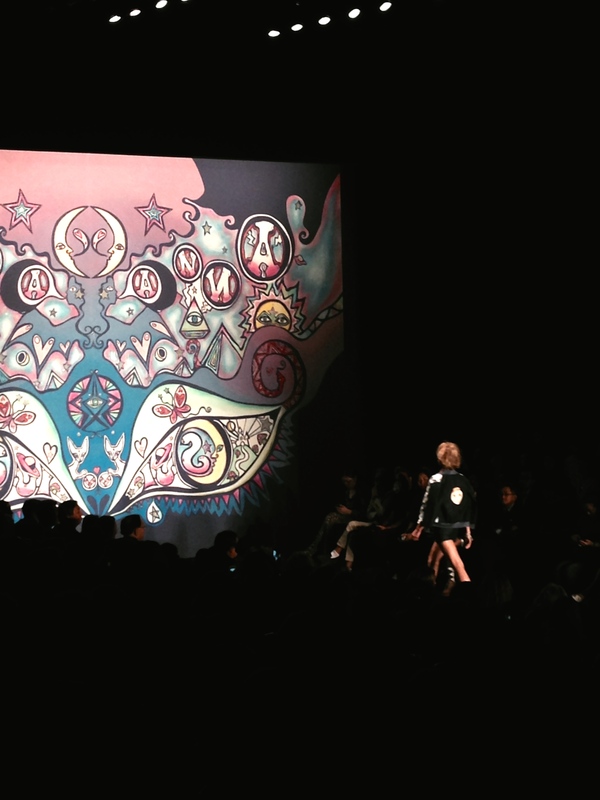 Anna Sui proved that the modern boho isn’t going anywhere. 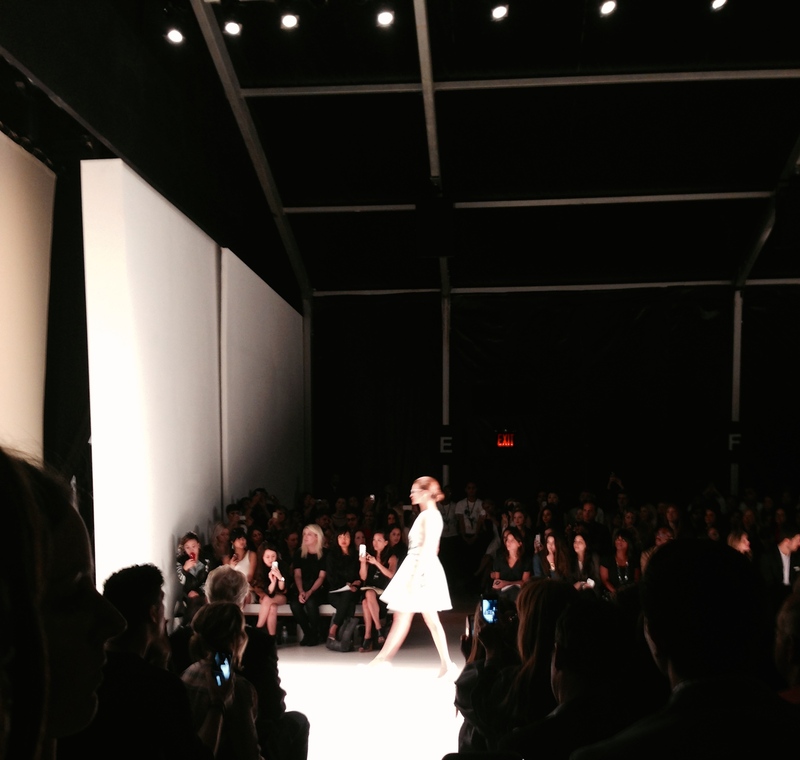 My favorite part of the show was the splendid pairing of models – male and female – for their trip down the runway. 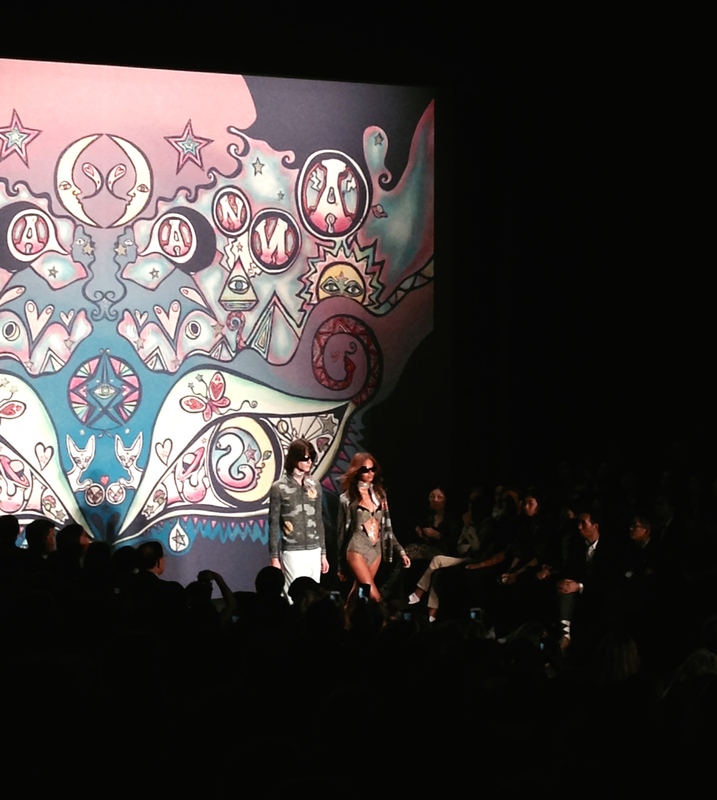 Combined with the thump of house music, it lent a bold energy to the laid-back, rockstar-cool of Anna’s designs. Trend alert: we’ll be seeing lots of moon and star references for spring. 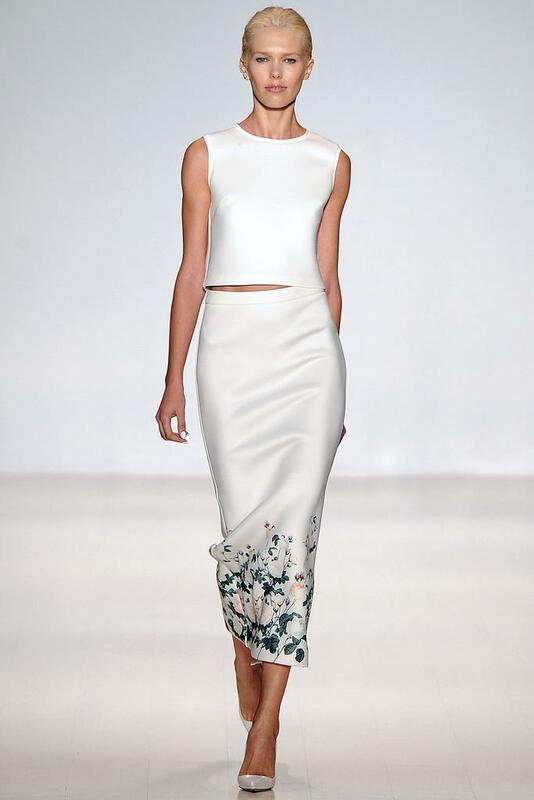 Erin Featherston’s show made me want a) a pair of crisp white pumps, just like each one of her impeccably chic models, and b) to bring back Blair Waldorf-esque headbands. It was truly an homage to femininity and Erin’s classic style. Photos of my two favorite looks are at the end, thanks to style.com, who obviously had a much better angle than I did. The show-closing song was Alright by Supergrass.